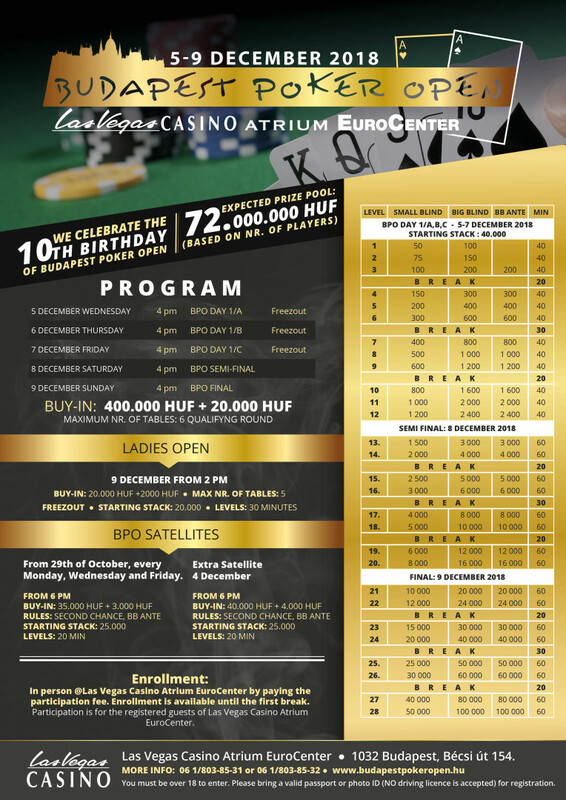 We celebrate the 10th birthday of Budapest Poker Open! Satelittes for BPO from 29th of October on every Monday, Wednesday and Friday! Ladies Open is held on 9th of December!